Baby Girl wooden pendant is the perfect gift for New Moms and Dads. A sweet gift to celebrate the new born baby and her mom and daddy. 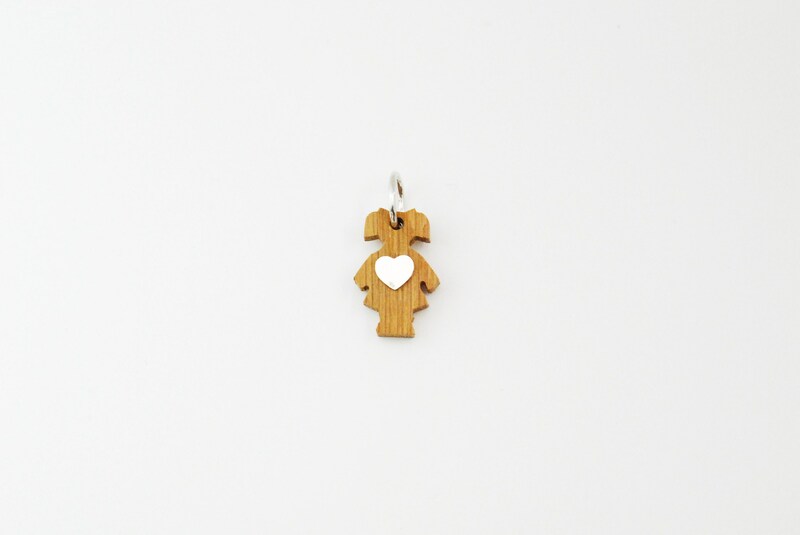 Baby Girl charm is made with solid oak wood. Bows is made of rodhium plated silver 925 (entirely nickel free).